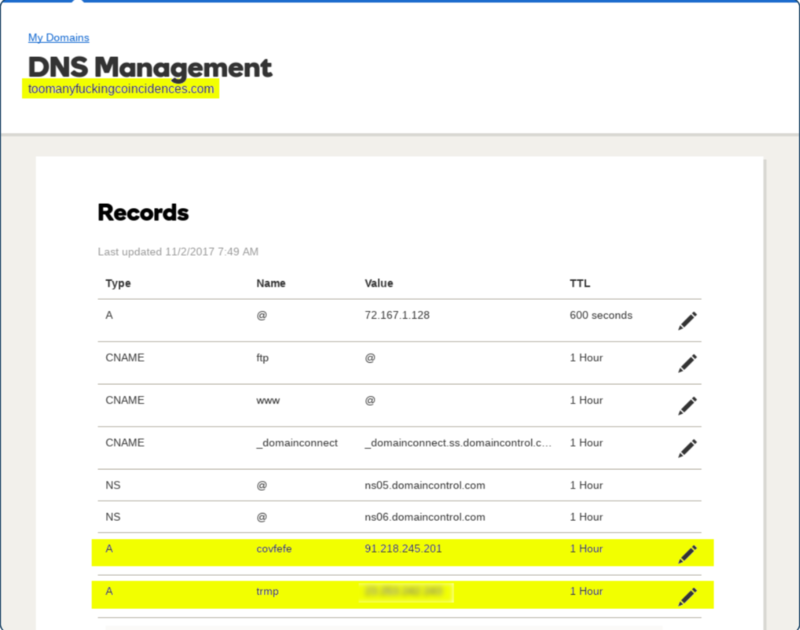 A few days ago we reported that more than 250 Trump Organization subdomains are in communication with servers in Russia, one of which is a Hostkey.ru server that hosts WikiLeaks.org. In Mother Jones and elsewhere, articles about our findings concluded that the Trump domain registry had been compromised by a third party, and that this compromise was somehow never detected by the Trump Organization’s IT department. Despite this assertion, the existence and persistence of these subdomains do not fit the attack described, and that calls for a closer look. These statements conflict: either they were hacked and these subdomains were added and somehow never noticed, or they were not hacked and these subdomains were created intentionally. In 2013, a hacker (or hackers) apparently obtained access to the Trump Organization’s domain registration account and created at least 250 website subdomains that cybersecurity experts refer to as “shadow” subdomains. 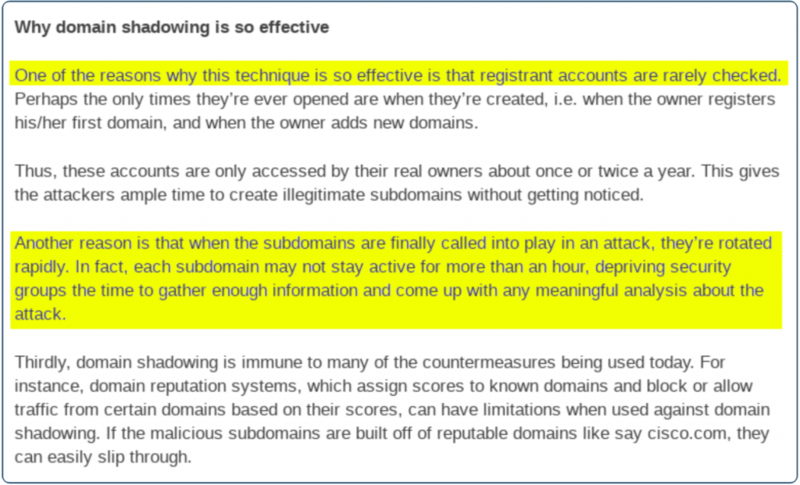 On the surface, the subdomains discovered resemble classic “shadow domains” that can be set up by hackers who have compromised a domain registration account. But a closer look reveals that it would have been nearly impossible for such domains to have persisted undetected for four years. 1) One of the reasons why this technique is so effective is that registrant accounts are rarely checked. 2) Another reason is that when the subdomains are finally called into play in an attack, they’re rotated rapidly. In the case of the Trump Organization compromise, both of these indicators are invalid. The Trump Organization has clearly checked these registrant accounts multiple times since 2013 as they create new websites and change the hosting of the existing ones. Additionally, these subdomain names appear to have persisted without change since they were created. How was this done then? When? By whom? Let’s look at just one of the many compromised Trump domains – 721fifth.com – the website for Trump Tower itself. This website is currently hosted on a Rackspace server, although its nameservers are GoDaddy’s. According to DNS records, the website has been hosted at Rackspace since 2015, although the domain name has been in use since 2013. According to OTX, the compromised subdomains have also existed since late 2013. 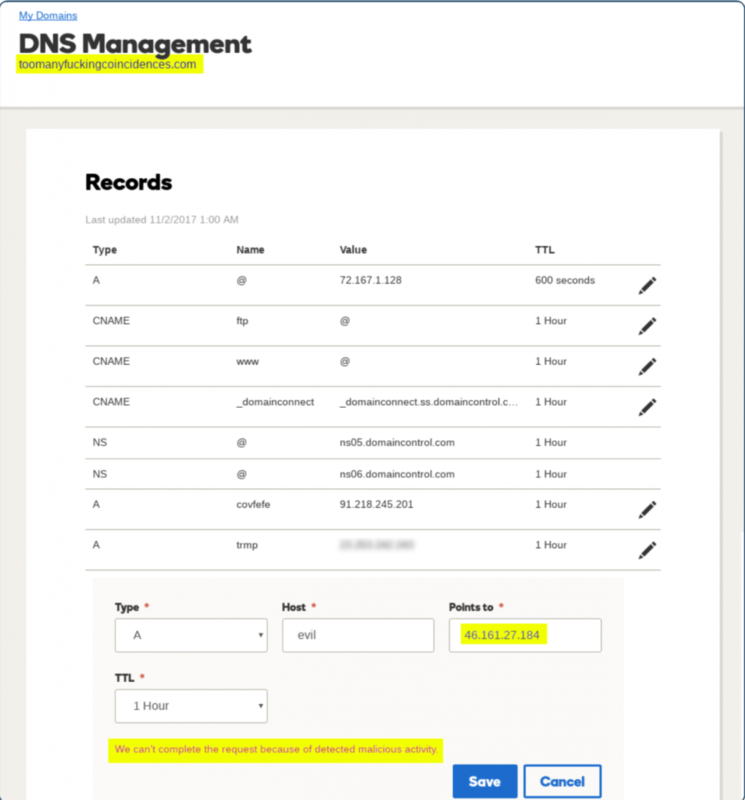 In order for the 721fifth.com domain to have been pointed to the trump2.parscalecloud.com host in 2015, someone must have logged into the Trump Organization account’s DNS records at GoDaddy and changed the “A” record for the domain. 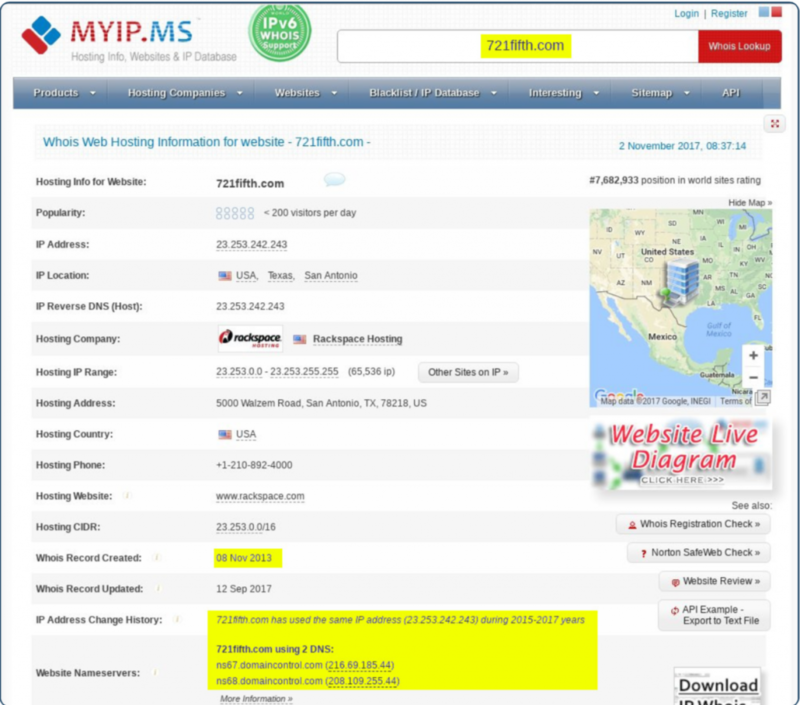 First – note that it is VERY obvious within this interface that new subdomains have been added, and that they point to IP addresses that are completely different from the IP address of the main domain. Second – note that GoDaddy’s security system prevented us from pointing a new subdomain to the 46.161.27.184 IP address that fghft.721fifth.com is pointed to, due to malware concerns at that host. 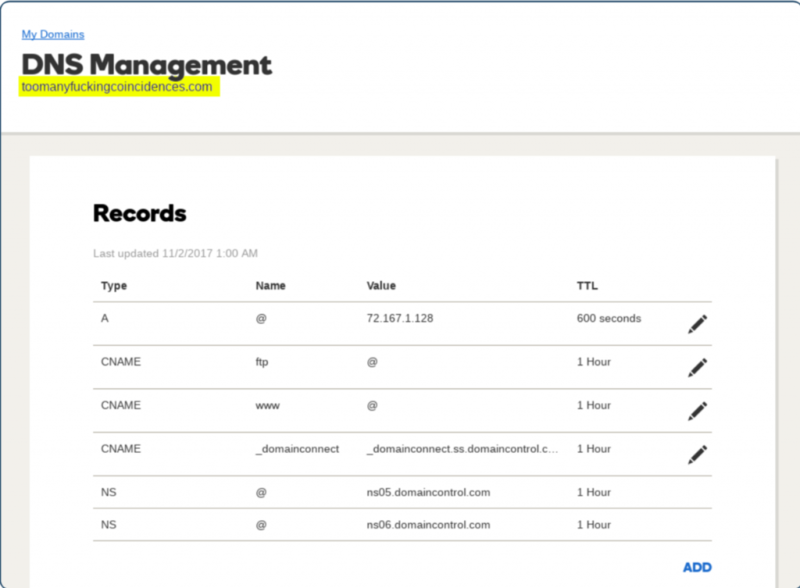 The date of the creation of these domains and the date of the first detection of these subdomains is very interesting. They were created around the end of 2013, just a few months after the Trump Organization hosted the Miss Universe pageant in Moscow. Click here for Mike’s companion thread on Twitter.